100% brand new Motorcycle scooter bicycle heavy duty chain lock. High Security heavy duty chain lock. 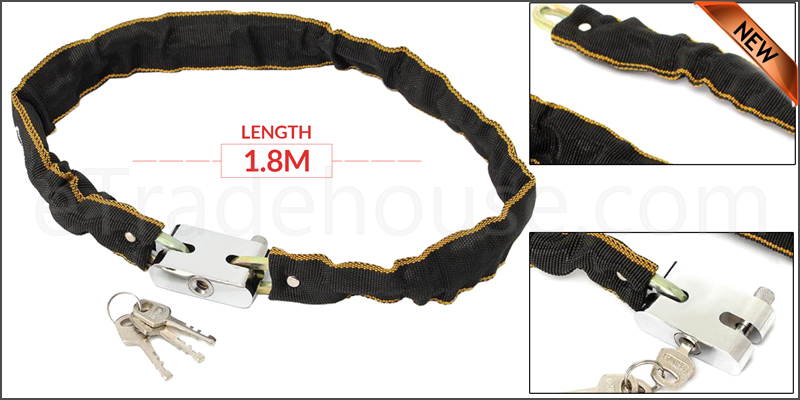 Security grade metal chain with reinforced fabric to protect the wheels. Fabric Cover to protect bike wheels. 1x Motor Bicycle Chain Padlock.